Install these heavy duty tie rod sleeves for a more positive tie rod adjustment. Made in the USA, they are manufactured from solid steel hex stock then zinc plated for durable good looks and corrosion resistance. They are stronger than stock OE split sleeves. Sold in pairs. 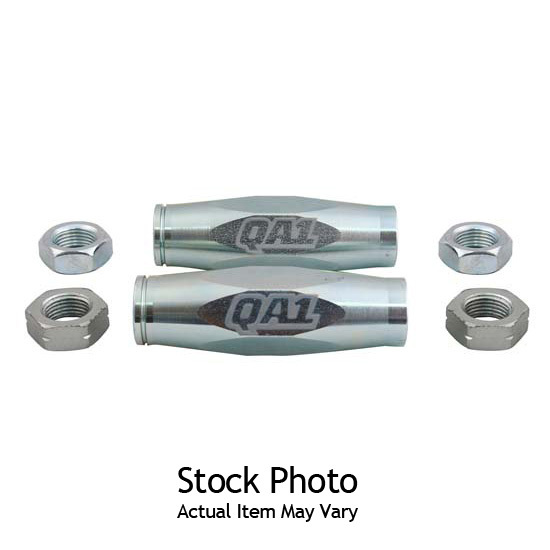 Fits 1967-1969 Camaro, 1968-1974 Nova, 1965-1970 Impala and more. These are a high performance replacement for Moog #ES350S (5/8" x 4-7/8").